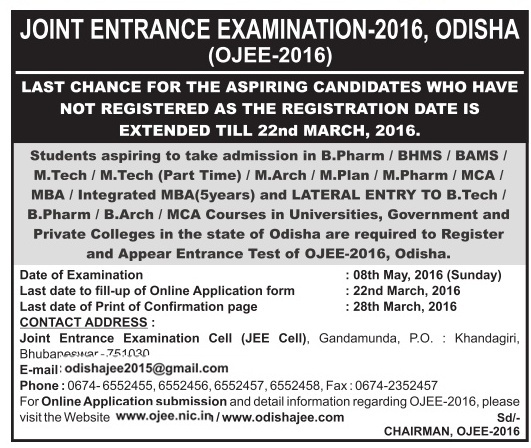 Admission for Following Subject Discipline (Admission take for Universities, Government and Private Colleges in the State of Odisha. Lateral Entry to B.Tech, B.Pharm / B.Arch / MCA Courses. How to Apply: Interested candidates should Application Submission through Online.